I am a fan of the Gallagher Girls and the Heist Society books, and to be honest that's why I picked up this book, because it sounded like a similar type of book. 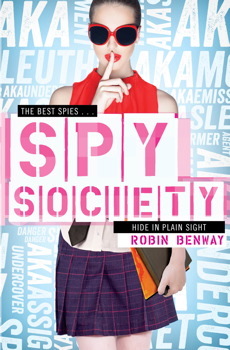 There's plenty of 'spy' activity in the book, but it's also a book about a very sheltered teenage girl, finding her way in the world. Yes Maggie may have travelled the world, lived in exotic cities and be a much sought after safe cracker, but, she has never been to a party, had a best friend let alone a boyfriend, in fact, Maggie has never even been to school! While Maggie is working on her first assignment she's also figuring out how to be a regular teenager...making friends, going to parties, flirting and even doing homework. So, while you Ally Carter fans are anxiously waiting for a new book to hit the shelves, why not give his one a go. 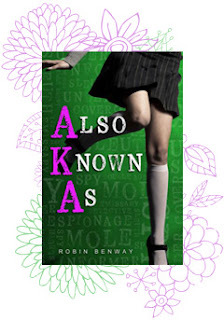 Here's a link to the authors website, to see what else she has written.